Database curated by Swedish Film Institute, which currently includes 700 film-makers, will expand globally. The Swedish Film Institute continues its pioneering work to achieve gender equality in film, including the launch of a new website that will be “a kind of Wikipedia” for female filmmakers. At Nordicwomeninfilm.com, there are already 700 filmmakers listed, from cinema’s start in 1895 to today. The list will be expanded globally. 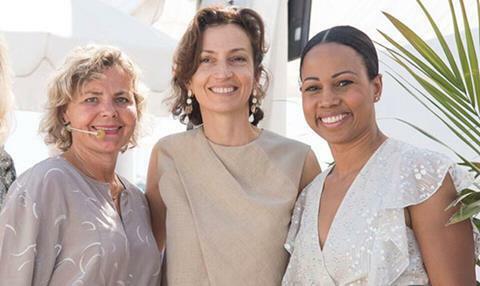 “Anyone who says there are no good women [to hire], they will be proven wrong,” said SFI CEO Anna Serner at the ‘50/50 by 2020’Seminar here in Cannes. The SFI hit a 50-50 gender split for its funded projects in 2014, but they are not resting on their laurels. “We will keep on counting behind the camera and in front of the camera,” she said. “We will make sure by getting knowledge and facts that women do make films reaching audiences and making money. Women should get bigger budgets now.” SFI will also create TED Talks related to gender equality to share across the globe. He also disclosed what he called ‘”shocking numbers” of Eurimages’ supported projects being made by only 19% female directors, who receive only 17% of overall funding, and with budgets an average of 35% less than budgets for male directors. One step Eurimages is taking is starting the new lucrative Audentia Awards given to female directors at various festivals in Europe. It started in Istanbul this year with a win for Anca Damian, director of The Magic Mountain. “Next year it will go to other festivals, maybe one day in Cannes,” Olla said . Swedish director Alexandra-Therese Keining (Girls Lost) said festivals had an important role in presenting more diverse voices. “Have the guts to pick different kinds of stories and choose female filmmakers. Look around, stir it up,” she advised. Sweden’s Minister of Culture and Democracy, Alice Bah Kuhnke, said, “There is still a gender gap in society and a difference between those included and those excluded. Culture is no exception…In the worst cases films can create a sense of alienation, the stereotypes, the feeling that your reality is never present on the screen. Serner emphasized that the Swedish Film Institutes backs the best projects and doesn’t use quotas. “We make quality by gender equality,” she said. He wants more education in schools at a younger age. “Put in moving image as a school subject from primary school,” he suggested.